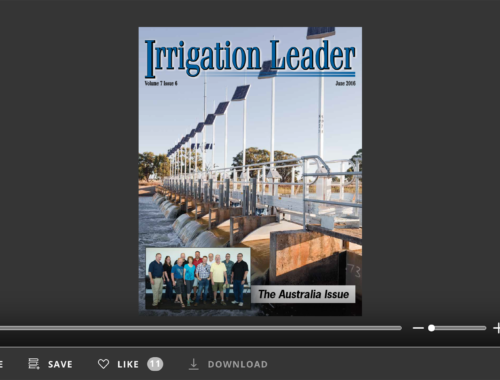 One of the missions of Irrigation Leader magazine is to help people in the irrigation and hydropower generation communities learn from the experiences and successes of others. 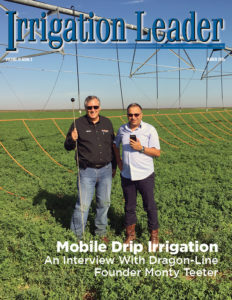 This issue of Irrigation Leader magazine contains interviews with three interesting and accomplished people. Ms. Luana Buckner is a nononsense Texan who wears many hats. 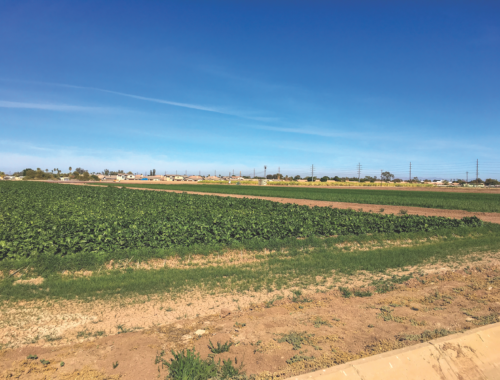 Her featured interview discusses the water supply challenges facing Texas and the importance of investing in water infrastructure, and underscores the western mindset of solving problems locally. Mr. Philip Moeller, commissioner to the Federal Energy and Regulatory Commission (FERC), grew up in rural Washington State. His interview provides our readers with a unique insight to FERC and the regulatory measures concerning low-head hydro development. In meeting and speaking with Commissioner Moeller, it is clear he is a highly intelligent individual and focused on practical solutions. Mr. Jim Nichols is an extraordinary man who has seen many changes in water resources development during his 62-year tenure with Freese and Nichols. 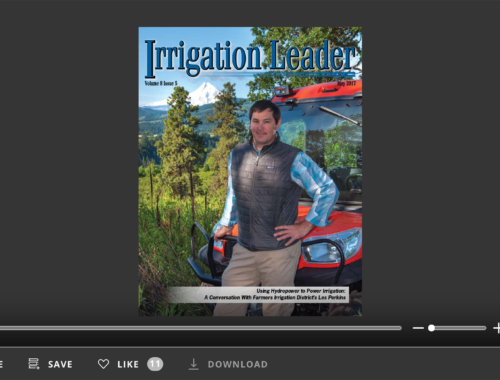 Nearly 20 years ago, when I first started with the National Water Resources Association (NWRA), I asked retired Col. Jess Baldwin (who also worked for the NWRA at the time and was a Texan), “Why do you always call him ‘Mr. Nichols’?” Jess’s reply was, “Let me tell you something: Everyone calls him Mr. Nichols.” I do not recall exactly how Jess elaborated on his answer, but our interview with Mr. Nichols provides readers a good explanation. In closing, I would like to say how very pleased and honored we are to have former Reclamation Commission Bob Johnson join Water Strategies, LLC. He is a wealth of knowledge and a true problem solver. During the time I worked for him at Reclamation, I never heard him swear or say an ill word about anyone. He set a standard that made his people want to do the best work they could and be better people.